Quiptech will be exhibiting at this year’s Amper International Trade Fair in Brno, Czech Republic From the 19th to the 22nd of March, at Pavillion F Booth 3.01. At this year’s Amper, Quiptech will be exhibiting a range of the latest technologies for the electronics and medical device manufacturing industries. Recently the company announced it’s partnership with Speedprint as their authorized distributor for Mexico and Central/Eastern Europe. Speedprint is an award winning SMT Stencil Printing specialist who create innovative and specialised technology products designed for a long life of varied use. Quiptech will officially launch the partnership at this years where they will be displaying the latest in screen print technology - the SP700. This screen printer’s accuracy is astounding. The ADu can be fitted with any combination of paste and glue module. The system utilises the most advanced drive control technology available, including 1 micron resolution Linear encoders on all axes, together with a suite of intuitive software that enables total control of the printing process. 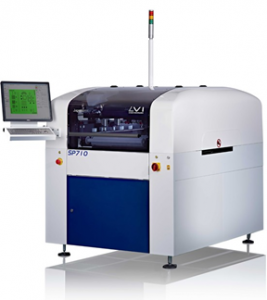 Unlike many alternative printers, the SP700 is fully equipped, as standard, with many features such as automatic rail width adjust, fully auto stencil loading and a fully programmable Under Stencil Cleaner. Quiptech has also introduced to the market the new QTEK Micro-Fine Pitch (MFP) stencil clean roll. This innovation in screen printer stencil cleaning is set to be a game changer for many industries. The MFP stencil clean rolls are made from ‘Generation 2’ non-woven Polypropylene material. They are designed to boost productivity and yield, reduce defects and decrease manufacturing costs. Incorporating a unique micro hole structure to trap and hold solder particles, the screen roll keeps paste material away from the stencil to ensure a fast and effective clean. The hydrophilic properties of the Polypropylene material provide fast wicking, as solvent is delivered through the fabric to the bottom of stencil instantaneously so that cleaning is more effective and solvent consumption is reduced. Both characteristics are essential for the effective cleaning of ultra-fine pitch apertures. The Quiptech team will be on hand to demonstrate how MFP can significantly improve the screen-printing process at Amper. Quiptech will also be displaying the PARMI Xceed New Generation 3D AOI and the Nordson Dage Quadra 5 at this year’s Amper. 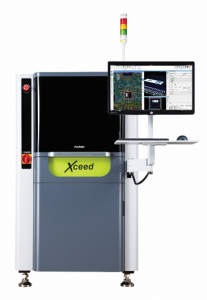 The PARMI’s 3D AOI measurement provides the most accurate and repeatable inspection results with the minimum false calls along with the industry’s leading inspection speed of 65 cm2/sec @ 14 x 14um. Its user interface systems make it easy to learn and use for both new and existing users with a one-Click automatic ROI creation for most common inspection settings. The system also Includes 7 fundamental inspection items: Missing, Lift, Size, Misalignment, Side-mount, Tombstone and Upside-down. 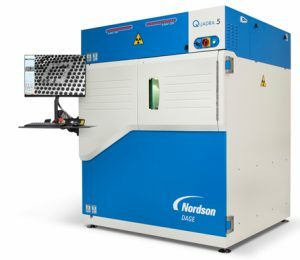 The Nordson Dage Quadra 5 is the X-ray inspection system of choice for sub-micron applications such as PCB and semiconductor package inspection, counterfeit component screening and finished goods quality control. The QuadraNT™ X-ray source and AspireFP™ detector are designed, manufactured and integrated in-house, specifically for electronics and manufacturing samples. Finding defects is easy thanks to over 30 advanced image enhancement filters that create clear, easy to interpret images. The Advanced Signal Processing results in noise-less, clear and accurate 3D images. Quiptech will be at Pavilion F, booth 3.01 at this years Amper International Trade Fair. Its team will be on hand to assist with enquiries and sales throughout the fair. They look forward to meeting you there.